When it comes to productivity, there are a lot of things that affect it. For one thing, your time management skills affect how productive you are. Another is the obligations you have to others. Those obligations could be both at work and at home. But there is another influence that you may not want to own up to. That is your bad habits that negatively affect productivity. Not everyone is a planner. Some people really like to be spontaneous and sort of fly by the seat of their pants. If this sounds like you, this could be a bad habit you need to break. When it comes to getting things done, not planning ahead isn’t always the wisest approach. Without a clear plan in place you may overestimate how much time you have to do certain tasks. If you are getting close to a deadline and haven’t planned ahead you may miss your deadline entirely. It can also put you behind so that you never get caught up. Instead, try to get things done sooner and allow extra time when possible. Then you can mark it off your list and move on to something else. Have you ever forgotten to do something important? If you’re like most people you probably have. This brings up another bad habit that can negatively affect productivity. That bad habit is not making lists. There’s more than one way to make a list. You can do it on a whiteboard, chalkboard, or a simple piece of paper. 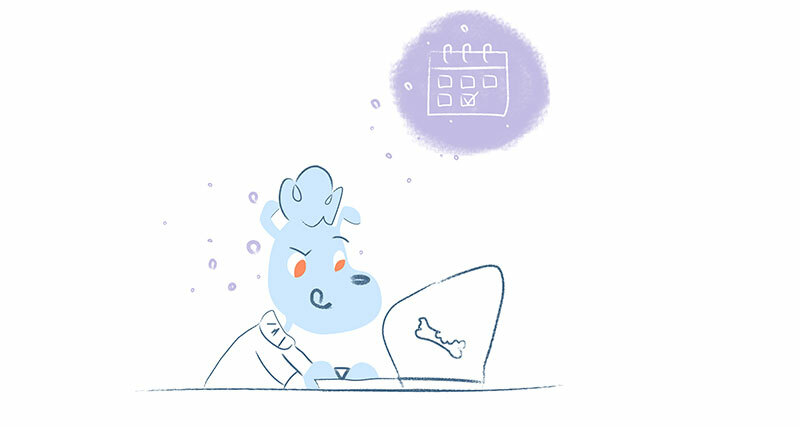 You can also use an online calendar or cool apps to schedule your tasks. Whatever method you choose, creating lists will help you get more done, including things of vital importance. Some people are creatures of habit. If you aren’t one of them, it could negatively affect productivity at home and at work. Creating a routine allows you to complete tasks faster. The reason is because you won’t have to stop and check your project list as often. You may argue that it doesn’t take long to check your list. While that’s true, the more often you do it, the longer it takes to complete the list. A good place to start if you want to create a routine is with your morning routine. Begin with what you do at home and then carry it forward to your job. Becoming distracted is a bad habit that can negatively affect productivity. Nevertheless, distractions can come in many forms. If you work from home you may have a hard time focusing or getting your work done. It’s easy to be distracted by your family when you work at home. When kids are home and playing loudly or interrupting, it can be hard to stay on track and be productive. Rather than work in an area where they can interfere with your concentration, change your habits. Find an area to work that is away from chaos and noise. Let family know that when you are working they should try not to disturb you. Then show them that when you aren’t working you are fully there with them and not thinking about work. Of course family is not the only thing that distracts you at home. Household chores can distract you too. That is why the bad habit of working near these distractions should be changed. Find a different area in which to work, such as an office or corner in another room. Look for a little space to place a chair, small table, and a few supplies. When you do, you’ll find you manage time better and get more done. In the end you may have more time to spend with your family doing things everyone enjoys. There are also plenty of distractions at work, whether at home or elsewhere, that can negatively affect productivity. Stopping work to check and read email is a bad habit that can negatively affect productivity. When you allow emails to frequently interrupt what you are doing it slows down work progress. 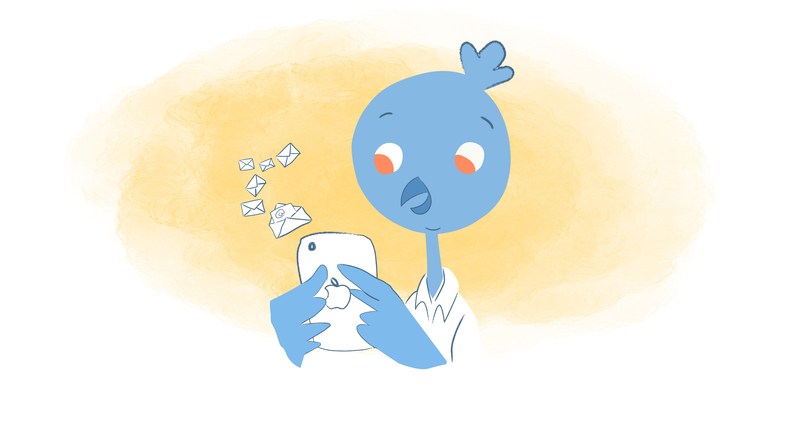 Checking email as it comes in also tempts you to spend time reading and responding to them. But if you are in the middle of an important project with a deadline you could miss it due to this distraction. To better manage your email, be more efficient, and get more done, only check it every couple of hours. If it helps, set a timer to go off or a reminder on your calendar to notify you. Your cell phone is another distraction whether you work at home or elsewhere. It’s easy to innocently check your notifications and, while clearing them, get caught up in social media. Just like with email, schedule breaks to check notifications every few hours. While checking, set a timer for about 5 minutes so you don’t lose track of time. The rest of the time, stay on track with what you are doing to keep your productivity up. It’s ok to be independent and rely heavily on yourself. However, some people are independent to a fault. You don’t have to do everything by yourself. Just as it’s ok to be independent it’s also ok to ask for help occasionally too. It will reduce your stress and improve your relationships. Working with someone else allows you to get more done in a shorter period of time. This is especially true if they are more skilled than you about the task at hand. Therefore, avoid the bad habit of trying to do everything yourself. Instead, rely on family, friends, co-workers, or employees when you need to. That’s what they are there for. In fact, many of them would be glad to help if you would only ask. Studies prove that multi-tasking doesn’t always speed you up so you can get more done. In fact, in many ways, multitasking slows you down. Therefore, although it may not seem like a bad habit, it can be when done in the wrong ways. There are probably small ways multitasking can help you save time. For instance, you can start your computer while you get your coffee. Or, you can go through mail while listening to voicemail messages. But in general, switching between tasks slows down your work. The reason is because your brain has to readjust to the new task and figure out where you left off. This takes precious minutes each time you switch between tasks. The greater the complexity of the work you’re doing the longer it takes to adjust to the new task. The more time it takes, the less productive you are. Being too frugal is another of the bad habits that may not seem like a bad habit at all. In reality, frugality is usually a good thing. The exception is when it slows down your productivity. If you won’t spend the money to upgrade your computer it could slow down your work. Similarly, not buying a second computer monitor or spending money on training may hurt your productivity. Using your money wisely is important. But investing in equipment and training is also beneficial and could more than replace the money spent. Another thing that will negatively affect productivity is putting things off. It’s easy to do when you don’t like doing a certain job. The problem is that it can keep you from accomplishing everything you need to. When putting things off interferes with productivity, there are ways to combat it. You can try to do those projects first and get them out of the way. Or, you might delegate them to someone else if you are able to do so. As you find yourself procrastinating about certain things, look for ways to stop putting things off. You’ll feel better about yourself and get more done in the process. Clearly there are many things that negatively affect productivity. Be that as it may, you don’t have to let bad habits be one of them. Work on correcting bad habits and you will get more done and enjoy greater success.